Large ranch home with very private setting tucked away among towering pine trees with a with a massive back deck that overlooks the 2.5 acre pond. Wood floors, grand kitchen and dining area, 15'X30' master bedroom and a 6+ car attached garage. The walkout lower level is partially finished with 2 bedrooms and a luxury full bath. 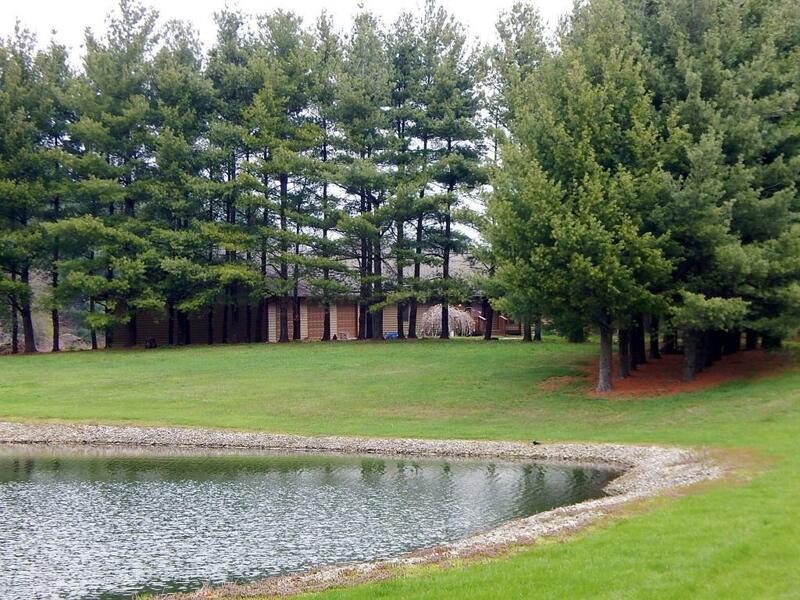 The 8.62 acres has plenty of space for a horse barn or detached garage as well.